Music Week announced the nominees for their 2018 awards today, and Reservoir is pleased to be included in the running for the prestigious “Publisher Of The Year” award. Nominees for Publisher of the Year demonstrate exceptional promotion of the company’s catalog across a variety of market sectors including recorded music, sync, and live performance. 2017 saw Reservoir reach new heights with a total of 50 Billboard #1’s and 33 Billboard Hot 100 songs, with 12 songs appearing on the Hot 100 concurrently. Reservoir also notably earned Top 10 US market share for both Q2 and Q4 via Publisher’s Quarterly, as well as won Publisher Of The Year at Music Business Worldwide’s The A&R Awards. Additionally, Reservoir’s CEO Golnar Khosrowshahi was named one of Billboard’s top 100 Most Powerful Women In Music and Reservoir/Reverb Music’s Managing Director Annette Barrett was inducted into Music Week’s Women In Music Roll of Honour. Reservoir cuts “Havana” by Camila Cabello, “Anywhere” by Rita Ora (both co-written by Ali Tamposi) and “Rockstar” by Post Malone co-written by Joey Bada$$ topped the charts in the UK, claiming the top 3 spots on the Official Singles chart for the week ending November 17th, among other noteworthy achievements. 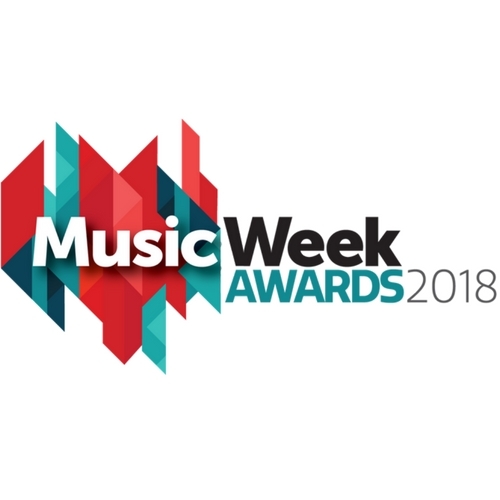 The 2018 Music Week Awards ceremony will take place on April 26th at Grosvenor House Hotel, London, UK. Click here for more information.